References: Identification and attribution of English Delft or tin-glazed earthenware, to specific areas and maker, is always difficult. Noteworthy therefore to find a surviving large example with comparative authoritative reference examples in the Victoria and Albert Museum collection. 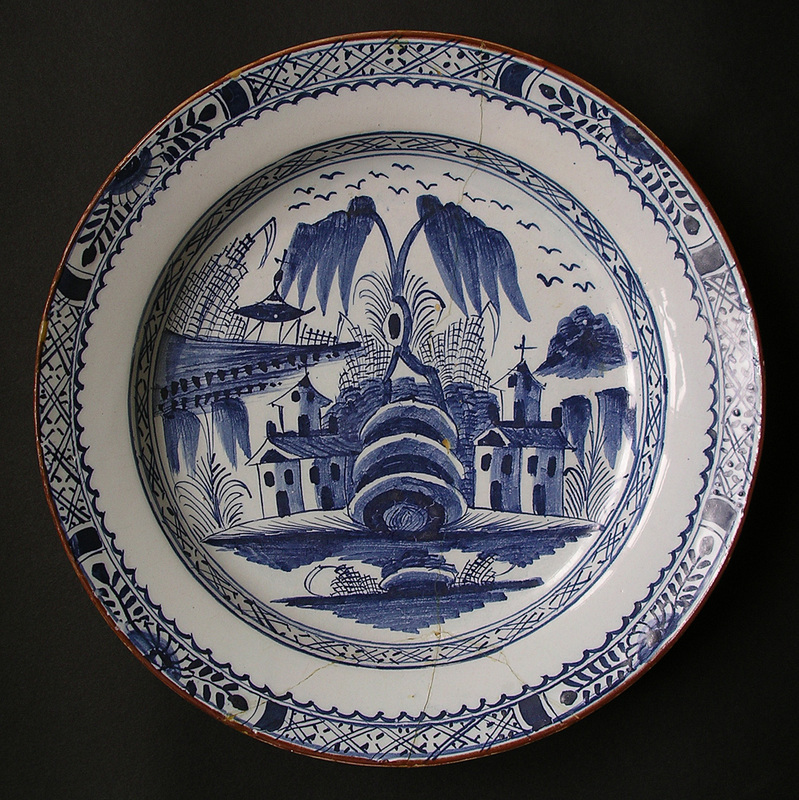 An Abigail Griffith Lambeth small blue and white bowl, with the same pattern, is illustrated in the published V&A collection catalogue: Michael Archer, Delftware The Tin-glazed Earthenware of the British Isles (London: The Stationary Office, 1997) Catalogue reference F 46; plate 206 illustrates the same pattern on a polychrome bowl. Dimensions: width 336 mm max. approximately 13 1/4 inches. Condition: A good attractive reference example. 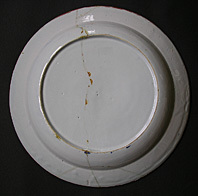 Tin glazed earthenware is soft and brittle so that edge chips are readily accepted and other damage is often found. This piece has glued repairs from a previous break - most clearly visible to the back of the charger. It is sound and displays well showing off the wonderful hand painted design to great effect as illustrated.